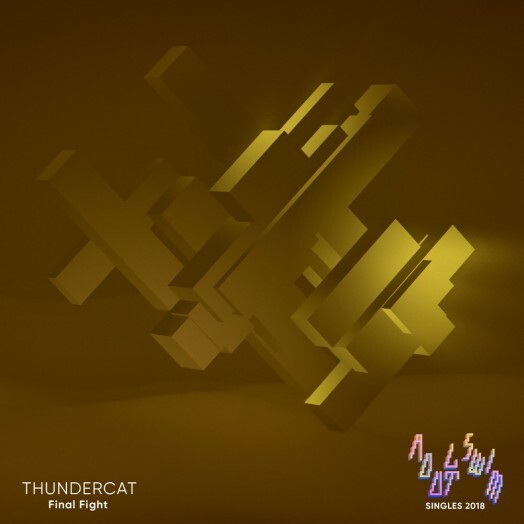 ‘Final Fight’ is Thundercat’s first original new track since last year’s full-length “Drunk” on Brainfeeder, which saw him collaborate with everyone from Kendrick Lamar and Wiz Khalifa to Michael McDonald and Kenny Loggins and which earned glowing reviews across the board – including a “Best New Music” piece from Pitchfork. The album was also recently subject to a chopped-not-slopped treatment from OG Ron C and DJ Candlestick of legendary Houston screw outfit The Chopstars. Since its release, Thundercat has toured the world over including prime slots at Coachella and Glastonbury and performed on major late night TV programs The Tonight Show with Jimmy Fallon and The Late Show with Stephen Colbert.